“You can’t play games on Linux” is one of the most outdated lies that people keep spreading 5 Lies Linux-Haters Like To Tell 5 Lies Linux-Haters Like To Tell Linux may have been a scary operating system before, but all of that has changed in recent years. These myths, which are more accurately called lies, are now dead. Read More . Look, I get it. 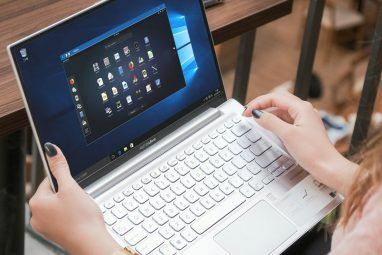 Windows can play everything while Linux can’t — even though that gap is closed with tools like Wine — but things are quickly changing for the better. For starters, there’s an entire Linux distro dedicated to gaming Is SteamOS a Good Choice for a Gaming System? Is SteamOS a Good Choice for a Gaming System? Can you rely solely on SteamOS with good performance, or should you still keep that dual-boot with Windows? Let's take a look. Read More , Steam is now native to Linux How to Install Steam and Start Gaming on Linux How to Install Steam and Start Gaming on Linux Installing Steam on Linux computers is straightforward, and the result is usually the same seamless gaming experience you had on Windows. Read More , and there are thousands of Linux-compatible games Where to Download the Best Linux Games Without Any Hassle Where to Download the Best Linux Games Without Any Hassle Not even a decade ago, native gaming on Linux was limited to open source, cross-platform games. Today, the "no games on Linux" myth is dead. But where do you find compatible games? 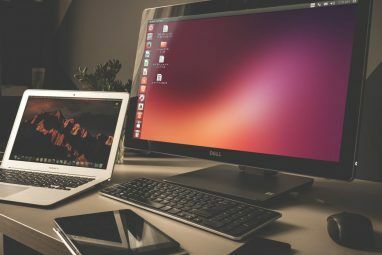 Read More — many of which are commercial quality and provide evidence that Linux is now a serious gaming platform 5 Games That Prove Linux Is Now a Serious Gaming Platform 5 Games That Prove Linux Is Now a Serious Gaming Platform Big-budget games are coming to Linux, thanks to graphic driver improvements and the arrival of SteamOS. Here are five, top-tier games which undeniably demonstrate the potential of Linux as a platform for gaming. Read More . Unfortunately, MMORPGs are lagging behind. If you want to play one from an AAA company and it doesn’t run in Wine, that might actually be a dealbreaker Should I Use Linux Or Windows? 3 Deal-Breaker Questions You MUST Answer Should I Use Linux Or Windows? 3 Deal-Breaker Questions You MUST Answer Linux. Windows. We aren't here to tell you which one is better; rather, we're here to help you decide which one is better for you. Read More . That being said, there are several free MMORPGs that are fun and run natively on Linux. Champions of Regnum is one of the top three choices as far as commercial-quality MMORPGs are concerned. 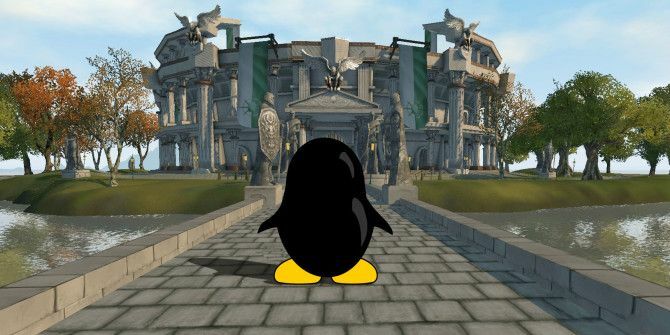 It’s about as close as you can get to a World of Warcraft alternative on Linux, and while it’s nowhere near as good, it’s definitely worth a try at least. The real draw behind Regnum is that its design was inspired by the long-defunct Dark Age of Camelot, which itself was famous for its realm-versus-realm-versus-realm combat (a larger and more complex version of three-way player-versus-player gameplay). If that’s what you want from an MMORPG, then Regnum is the one for you. Basically, there’s a central Warzone where players from three separate factions fight for control over gates, forts, and castles. There’s also a healthy dose of non-player-versus-player gameplay, so there’s a little bit of something for everyone. Thematically, Saga of Ryzom is a breath of fresh air because it breaks away from traditional medieval fantasy in favor of science fantasy. The game takes place in a fantastical version of the future — the year is 2525 — but isn’t too heavy on the sci-fi elements (like Tabula Rasa or Anarchy Online were). There are three things that are particularly impressive about Ryzom: mobs have complex AI and behaviors, the gameplay is an open-ended sandbox with a scenario editor that allows players to design their own in-game areas, and the client and server are both officially open source. Ryzom isn’t marketed as a player-versus-player game, but there are areas in the game where players can fight, and duels are always an option as well. For the most part, however, people play this game for its rich narrative and complex gameplay. Did you know that the creator of Minecraft actually worked on an MMORPG many years before Minecraft was even a thing? That MMORPG is Wurm Online. Wurm isn’t the prettiest of games, but don’t let that keep you from giving it a try. What you’ll find is a deep level of gameplay that you simply won’t find in any other MMORPG. Wurm is a sandbox world in the truest sense. Everything in the game is created by players. Yes, everything. Also, the gameplay itself changes depending on whicn server you play on — some are player-versus-player, others are realm-versus-realm, and others are all about the virtual economy. If you want an MMORPG that feels like its own world, this is the one for you. Salem (not to be confused with The Town of Salem) is a relatively young MMORPG created and maintained by an indie development team. While this definitely shows in its graphical quality, the great thing about Salem is that it can be experimental. The game takes place in 1600s New England with a thematic focus on witchcraft and Lovecraftian creatures. Like Wurm, Salem is all about player-driven gameplay — not just for items, but also for the environment. Players can permanently change the world, even to the point of permanently killing other players. Just remember that this game is young and indie-developed, so expect it to be rough around the edges for quite some time. However, the good news is that it’s playerbase is growing day by day, and that’s always something to look forward to. As far as indie MMORPGs go, Eternals Lands could be considered as the very first indie-made 3D MMORPG as it was created by a single developer and released way bace in 2003. What’s more impressive is that the game is still up and running today, and even received an update as soon ago as mid-2015. Gameplay-wise, the closest comparison to Eternal Lands would be old-school Runescape. The graphics are primitive, the combat is simplistic, the theme is basic medieval fantasy, and there’s nothing inherently exciting about the character development systems — but somehow, it’s fun. One interesting thing, however, is that the client is open source. Modified clients can connect to the official servers as long as they are approved by game administrators, which has led to some neat alternative clients. Tibia has two main claims to fame: first, that it’s one of the oldest still-running MMORPGs to date (having been released in 1997), and second, that it greatly resembles the aesthetics and gameplay of the cult-classic Ultima Online. Though this game looks outdated compared to modern graphical masterpieces like Guild Wars 2 and EVE Online, there’s a coziness to Tibia that really makes it feel like a home away from home. There’s a lot to do in the game, including quests, hunting, and player-versus-player — all MMORPG staples that endure the test of time. There’s a reason why Tibia still maintains 18,000+ concurrent users nearly 20 years after its debut: it may not be unique or innovative, but it certainly offers a robust experience that doesn’t tire quickly. Second Life is a notable milestone in the timeline of MMORPG history. It was the first graphical MMORPG without any solid gameplay elements — in the words of the creators themselves, “There is no manufactured conflict, no set objective.” In that sense, Second Life really isn’t a game. But people love to play it. There’s an entire economy system in place where players can buy, sell, trade, or rent land — and that land is used to leave one’s mark on the world. Virtual commodities are also created and traded by players, and you can make pretty much anything you can think of. 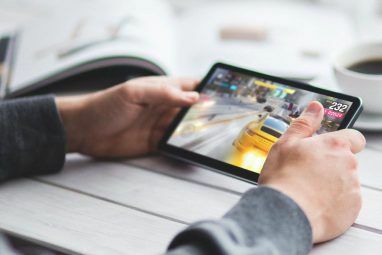 Second Life truly offers a second life — so much so that people have even made real-life money Make Money Gaming: 5 Games You Can Get Paid to Play Make Money Gaming: 5 Games You Can Get Paid to Play If you could make a living by playing video games, would you do it? Thousands of people do it every year with these video games. Read More through the economy. And with the advent of Oculus Rift virtual reality support How the Oculus Rift Works and Why You Need One How the Oculus Rift Works and Why You Need One Why is there so much excitement over the Oculus Rift? Because it's a technological marvel. Here's how it works and why you're going to love it. Read More , Second Life offers an experience that few other games can emulate. Stendhal Online is the smallest MMORPG on this list in terms of playerbase, but size isn’t always an indicator of quality. (As Linux users, we should all know how true that is!) Indie games like this one offer something that big games can’t: a place where everybody knows who you are. Every week, only a few hundred different accounts log onto Stendhal, and while the game’s content is standard MMORPG fare, the tight-knit community is what has allowed this game to keep breathing for nearly seven years. Spotlights like the Hall of Fame also help to solidify that feeling of community. Linux Gaming Is on the Rise! I know, it would be way better if this list could include games like Star Wars: The Old Republic, Lord of the Rings Online, Neverwinter, and all of those other games on our list of the greatest free-to-play MMORPGs The 10 Greatest Free MMORPGs To Start Playing Now The 10 Greatest Free MMORPGs To Start Playing Now The landscape of MMORPG gaming has never been better than it is today. Some may pine for the good old days when games like Ultima Online, Everquest, and Dark Age of Camelot dominated the scene,... Read More , and these are far from award-winning titles, but they aren’t bad. The good news is that we’re seeing more and more top-quality games for Linux Linux Has More Than Just Indie Games: Top 8 Blockbuster Games Available Linux Has More Than Just Indie Games: Top 8 Blockbuster Games Available While it's true that Windows still has a better selection of games, there are plenty of "AAA" titles (the really big hits) that are already available under Linux. Read More with each passing year, and that can only mean good things for the future of Linux-native MMORPGs. Which free MMORPGs do you play the most on Linux? Which games do you wish you could play without Wine? Let us know in the comments below! Explore more about: Free Games, Linux, MMO Games, Role-Playing Games. They all look very bad , sadly. They look like 2000-2002 games. Because you don't have what to choose from it's very tough to be a linux user gamer. I'd like to see Warframe on Linux or at least a reliable way to install it with wine. I have tried all the options including Steam. It just will not install. Im always surprised by some games that make these linux mmorpg lists (even if it is a year ago), I rarely find one of my favourites, Spiral Knights. Yeah I've seen Ryzom get a lot of praise but for some reason it still isn't very well-known. It's too bad because the game is pretty good. The game engine is just awesome! Ryzom just need 1KB/s and it is more than enough for one to play it. Enough freedom in game to allow one to play his/her own style of game.. crafter, harvester, healer, nuke, tank, ranger, everyone's friends or everyone's enemy or your own style.. one can pick anything and be anything. Champions of Regnum is one the top three choices...to a World of Warcraft alternative on Linux, and while it’s nowhere near as good"
And there you have Linux summed up. "Here try this... Yeah it's underdeveloped and it can be hard to get working thanks to distro fragmentation...and performance can be an issue... But it's free!" We in the open source community need to start paying and stop forking or windows gaming will remain dominant. If you hadn't noticed, steam os ain't exactly taking over desktops across the country and just added to the forking problem. Rather than say working with an already popular distribution like Ubuntu or fedora. The Linux gaming community is already moving towards that, but we probably won't see the fruits of that movement for another few years. Several non-free AAA games have been released on Linux in the past three years. It's just that MMO developers have been slower to make that change, possibly because MMOs have much bigger dev cycles. Nah, look at games by Valve. A lot of games have perfect ports for Linux, such as most of the Source engine ones.